It's our delicious take on a timeless classic. 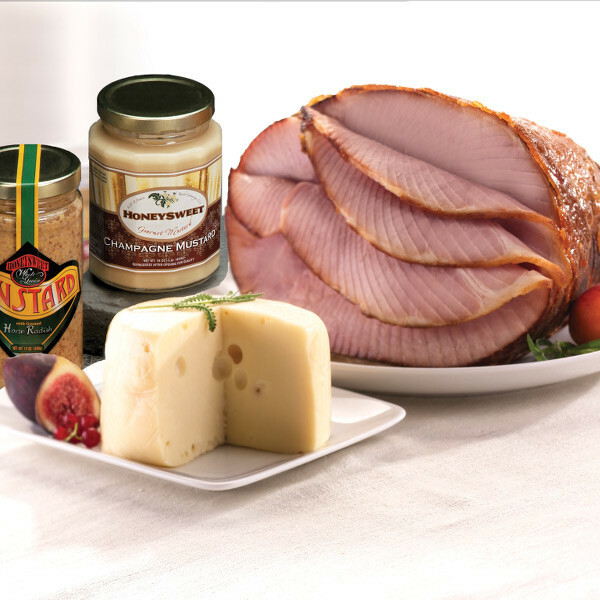 This sumptuous spread features a seven-pound HoneyBaked Ham® accompanied by our two-pound wheel of delicate Baby Swiss Cheese. It comes paired with two of our premium HoneyBaked Mustards.